Everywhere you turn, another local band is releasing another recording. In 2013 alone, the KC/Lawrence area has seen over 200 mostly indie album releases; that doesn’t even include singles, and who knows how much more is out there that we just don’t know about yet. Technology is becoming more accessible than it used to be, and the music industry has transformed. It used to be that an independent band could subsist without a “professional” recording, because many of them simply couldn’t afford it. Demo tapes were typically acceptable at one point. It didn’t matter how tinny or trash-canny your demo was; if you were trying to book a show, the promoter just wanted to know what you sounded like. Being able to record in a studio was reserved for bands with a little more clout, or scratch. Today, the music world has succumbed to the culture of convenience, which has both its advantages and disadvantages. One of the first things any emerging local band is asked is, “When are you guys gonna record an album?” The advent of home recording has afforded thousands of musicians the luxury of spending less money and, in many cases, ending up with a recording that sounds fairly professional. But that begs the question: how have our professional recording studios been affected? “Ten to fifteen years ago, everyone was using the studio to record,” remarks Justin Mantooth, engineer/producer at Westend Recording Studios. 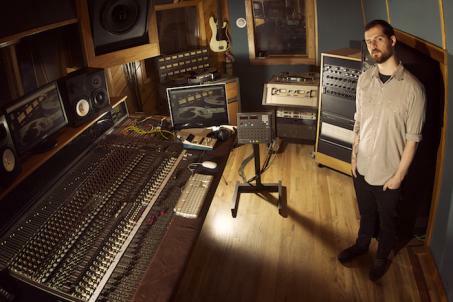 Now, so many musicians are turning to home studios to cut costs, but Mantooth explains that professional studio costs have decreased as a result, and gear is still expensive. There has been a steady and distinct decline in the use of professional studios, especially in smaller cities like Kansas City. Westend celebrated its 25-year anniversary back in September, and still remains one of the premier recording spots in the Kansas City area. Owner Mike Miller and his experienced team boast an impressive collection of classic vintage recording equipment, all of which Miller maintains and modifies. Mantooth notes that he’s been obsessed with recording since he was just 11 years old. He grew up near the original Midwestern Musical Co location. “Matt [Kesler] and Jim [Strahm] would give us half-broken things and we’d fix them. I understood what the good stuff was even then. I tried to buy a crappy PA for my band when I was 12, and they wouldn’t let me.” He saved up his money and bought a Tascam four-track tape recorder at the age of 13. 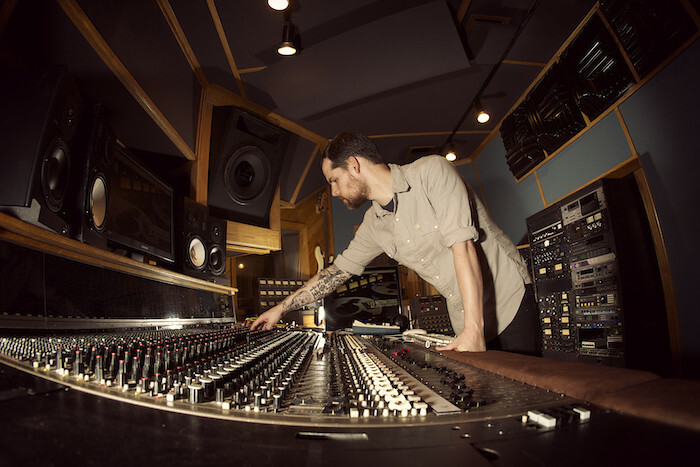 He became an intern at Chapman Recording right out of high school, eventually being hired as an assistant and engineer. He later did freelance engineering for Westend before moving to New York in 2008, where he began working at Translator Audio. In his opinion, the music scene and talent in Kansas City has grown exponentially in the five years he’s been away. But so has the advent of the home studio, which ranges from producers who have high-end microphones, soundproof rooms, and actual recording equipment to those with nothing but a microphone, a keyboard, and a song. Though home recording has obvious benefits and accessibility, Mantooth stresses that there’s nothing that compares to recording in a professional studio with well-built and maintained equipment. Westend provides artists an environment in which they can feel comfortable and creative, with a spectrum of sounds and options to choose from, dialed in by an experienced engineer on solid equipment. “We have old gear with a lot of mojo,” Mantooth mentions. And he, along with Miller and mastering guru Mike Nolte (Eureka Mastering), are dedicated to helping create a superior-sounding product. 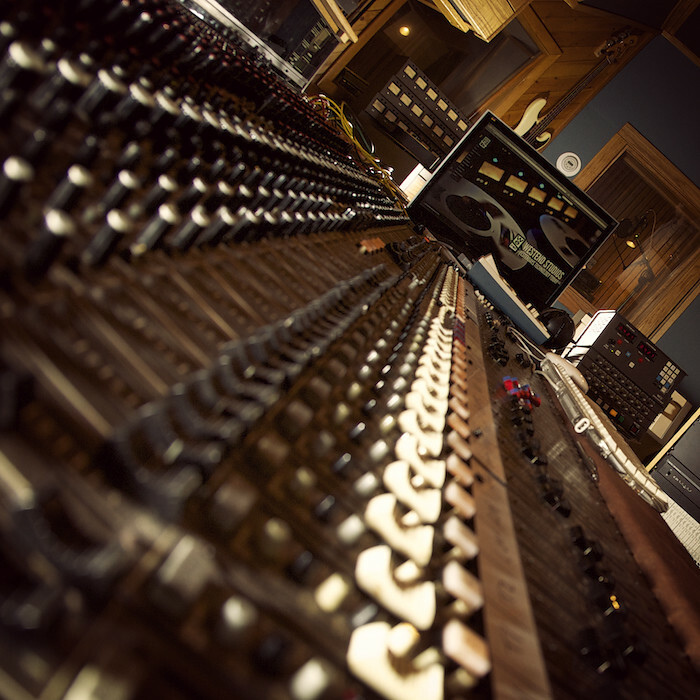 Visit Westend’s web site at this link to find out more about rates and recording options, as well as samples of bands the studio has recorded. You can check out Justin's web site for more info at www.justinmantooth.com. Michelle is editor of The Deli Magazine - Kansas City, and also plays drums Drew Black & Dirty Electric and bass in Dolls on Fire and The Philistines. She will be bothering a lot of people to come to Apocalypse Meow 6 next Friday and Saturday. It's gonna be pretty rad.